Wowsers, the weather has been so changeable. Earlier everywhere was frozen and it was really difficult to keep the horses ticking over, and now we are drowning in mud with the forecast of more snow and freezing schools. Harrumph, looking forward to Spring! 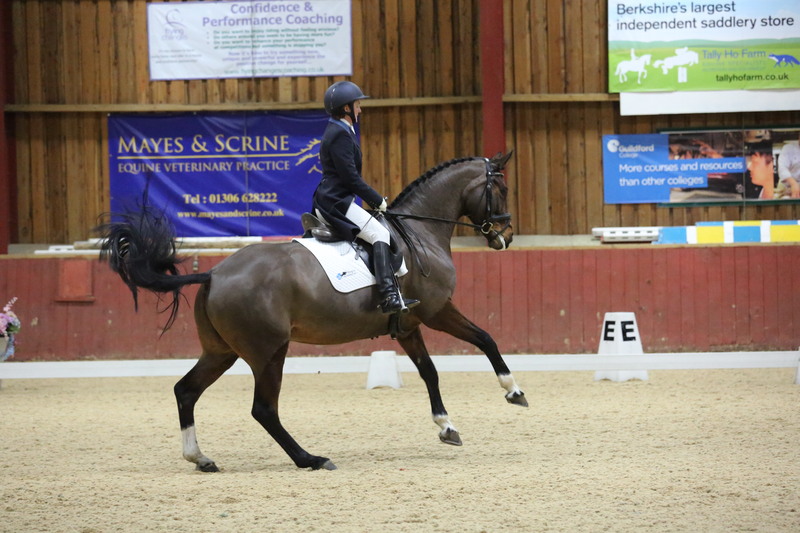 The Four Elms January clinic was a great success in their lovely indoor. 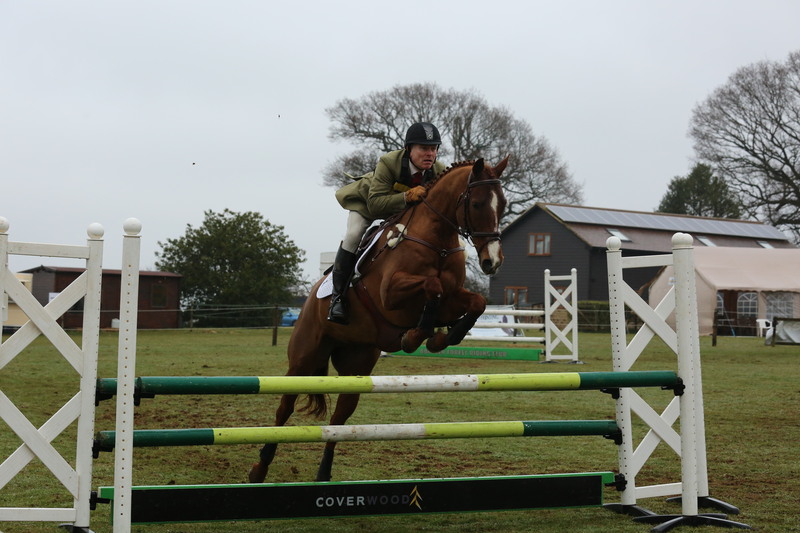 We had planned for Lily to go to the Merrist Wood JAS90 that day but as she had not jumped particularly well at Duckhurst BS over Christmas we changed our minds and Martin took Little Lexi instead. Now this caused me a sleepless night as the JAS is always very full on and the Bomber is still very spooky. Not only that but she has barely schooled over skinnies and the JAS is full of them. 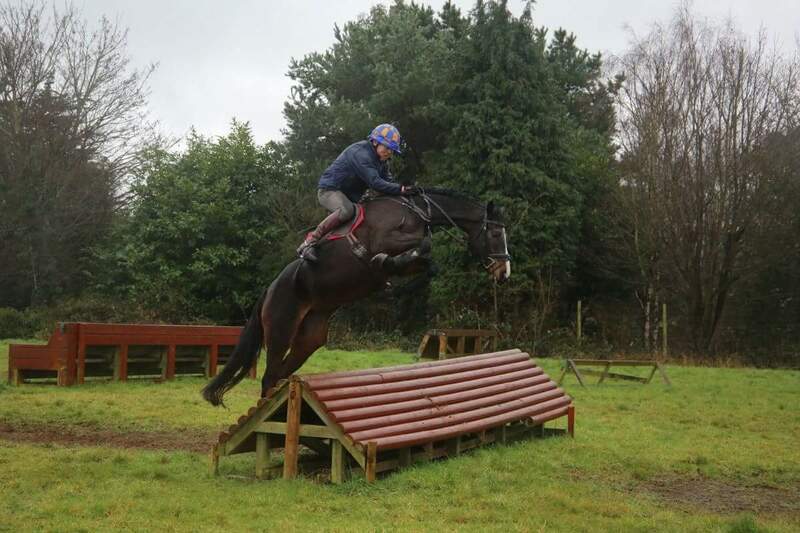 Anyhow, she coped and although slightly lacking the Style part of ‘Jumping and Style’ (Martin that is, not Bombie obviously!) 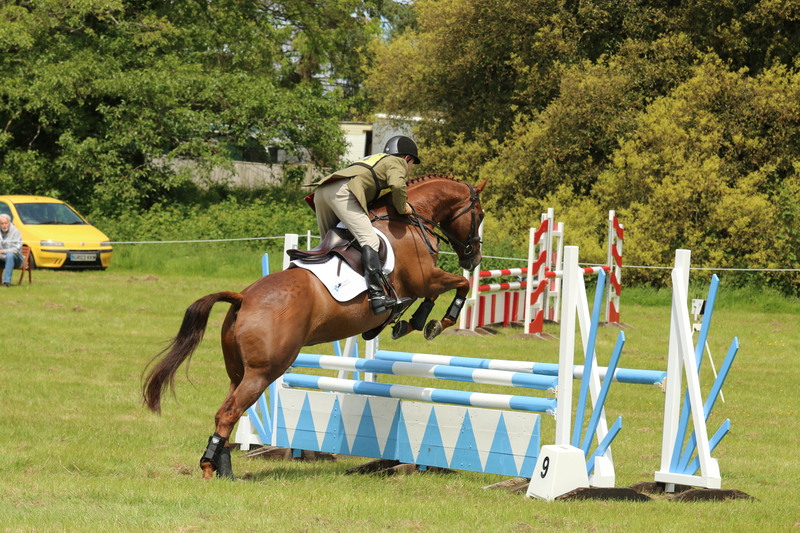 she only had one fence down and finished in the top third. Wowee, clever Bomber! 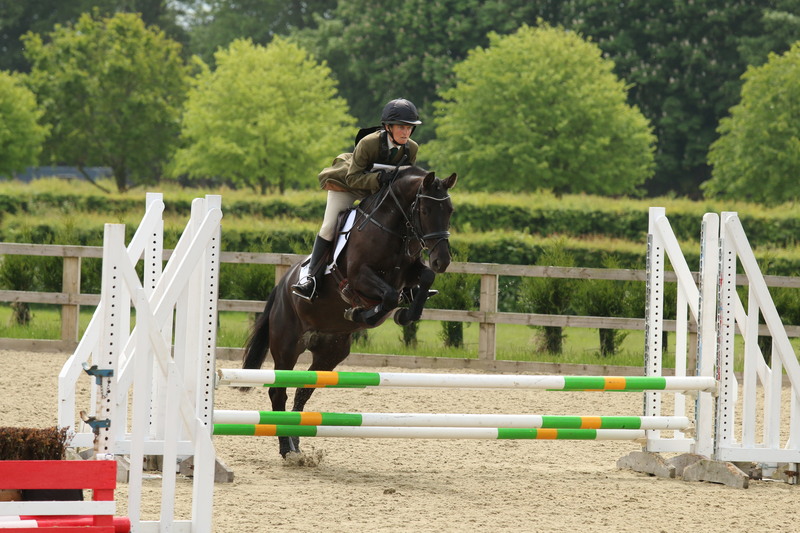 A very green moment for young Millie!! 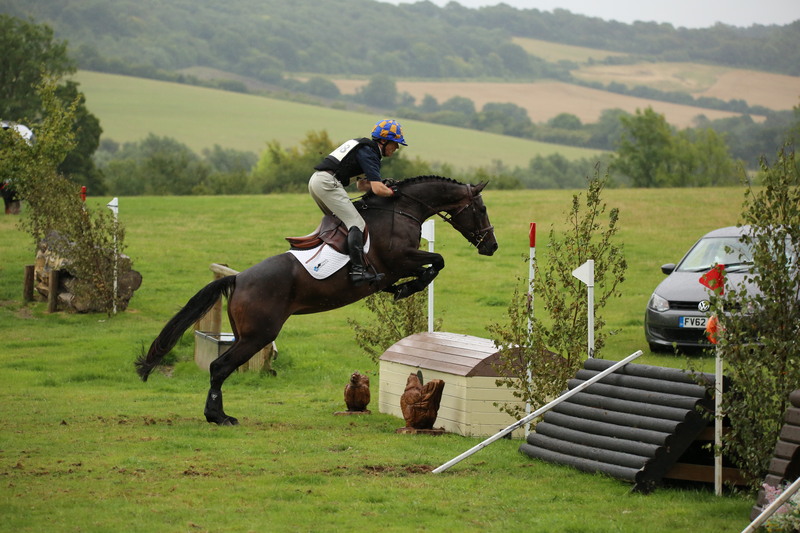 We also bit the bullet and took the decision to XC school as planned at Munstead in the rain. It actually wasn’t anything like as bad as forecast, everyone was well up for it, and it was a good reminder of how to ride in wet conditions. Something we don’t do very often any more. 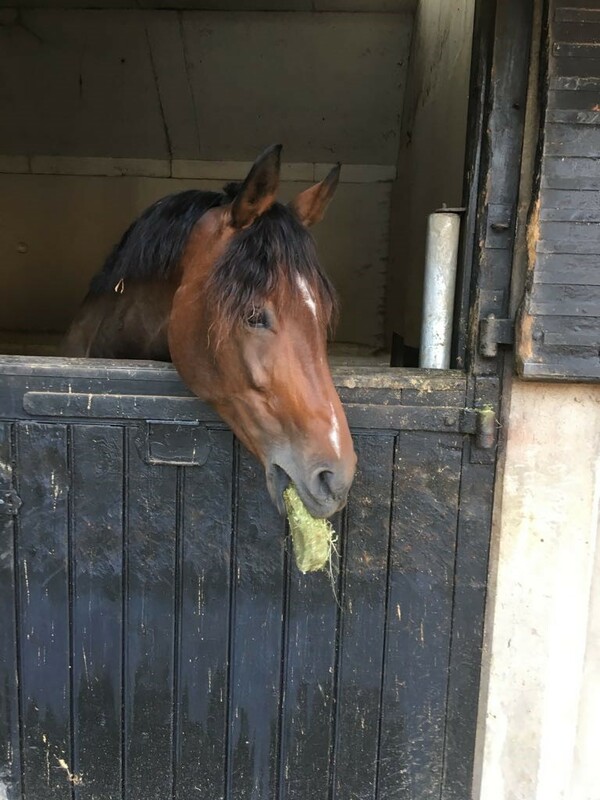 All the horses went really well, and we were particularly pleased (and just a little bit excited) with young Millie who was exceptionally brave, if rather green! Next up was Ehren’s turn to go out for the first time in three months. I packed my parachute and crossed my fingers. Ehren was a little light on work and therefore quite bright but it wasn’t quite as wild as I expected. The first test was pretty awful. 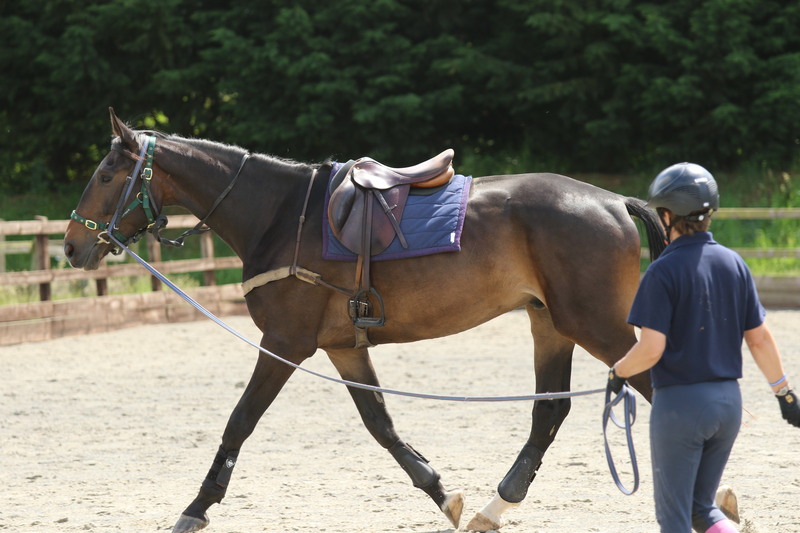 She was out of balance, really strong and I wasn’t allowed to touch her let alone ride her. The second test was considerably better, not great but not the car crash I was expecting and more rideable than the first. I could at least suggest a movement here and there. 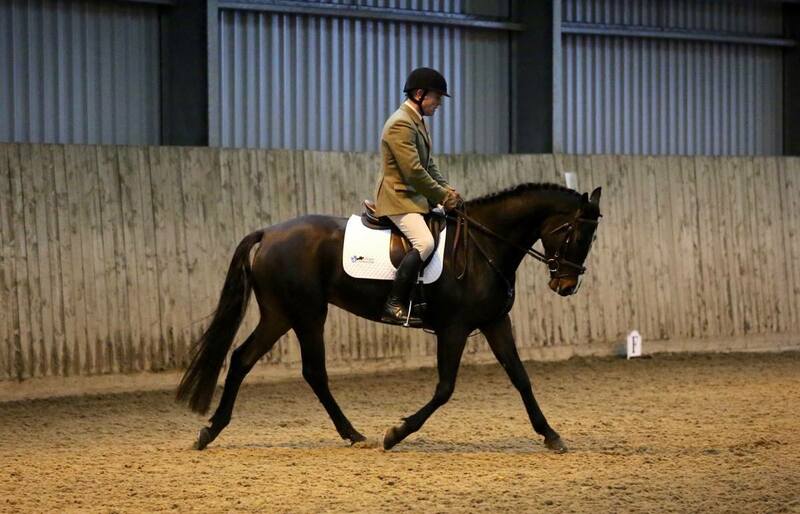 To come away with 65% in an Advanced Medium qualifier after three months at home was a pretty good effort I reckon, especially considering how bright she was. Plus (or so I thought) it’s done now, first one out of the way and we survived! Team Lamy Wobbleberries first pub meeting! 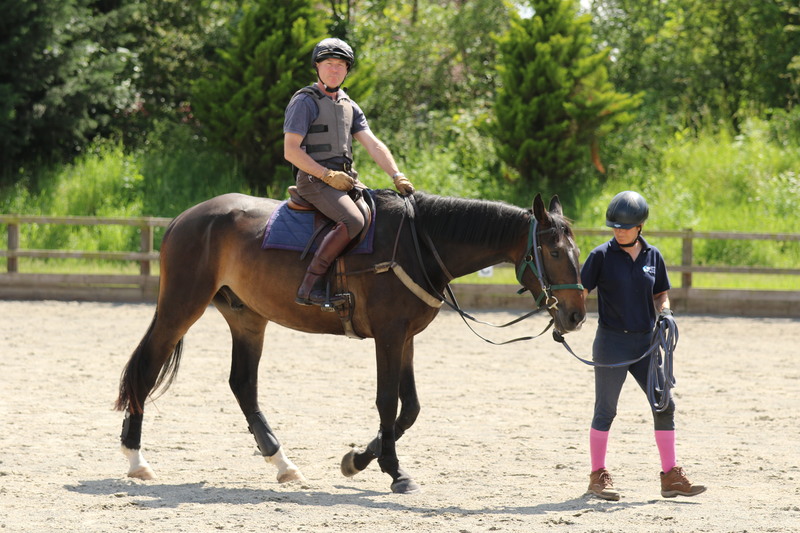 Jasmine’s Lottie had an abscess over Christmas, then could barely be worked as their school had been frozen so we aborted both the Stilebridge and BlueBarn plans for her. We also had to cancel both WobbleFlat days, my Char lessons, and the first WobbleGrid of the year. 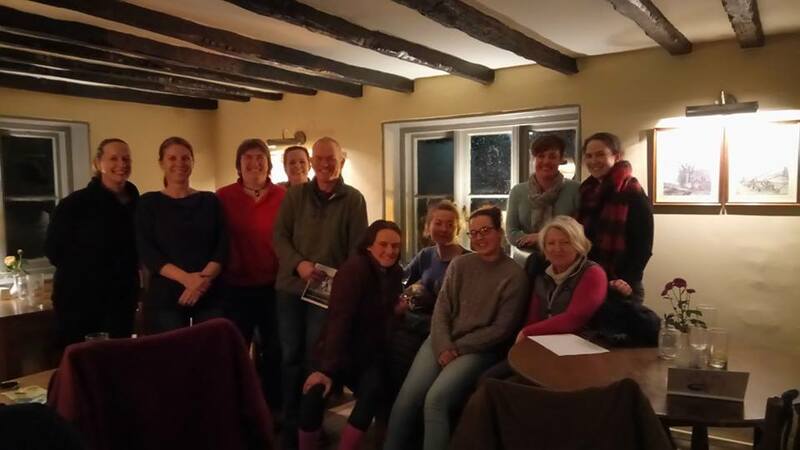 The second WobbleGrid session turned into flatwork but that was productive, and we did all get to meet up in the pub for a chat about the basic rules, registering and things to start thinking about for the BE season ahead. It was great to get everyone together. 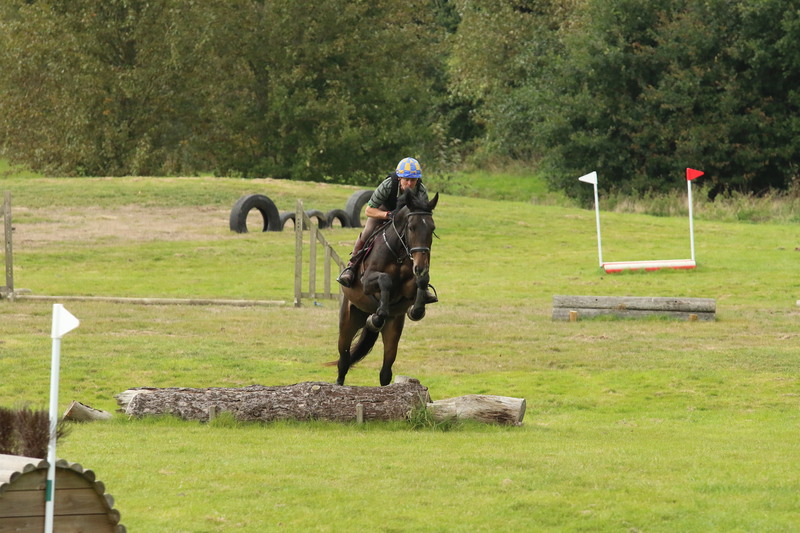 Ehren then had a trip to Merrist Wood BD as a practise for the regionals. Well that WAS a car crash! She was a little light on work, and being a 5 or 6 day a week girl this certainly has an impact. Plus she came into season that morning for the first time of the year with what can only be described as a whoosh and a bang. Add this together with a lack of match practise and we were the laughing stock of Guildford! Oh the shame…..
Ehren seemed to enjoy herself! 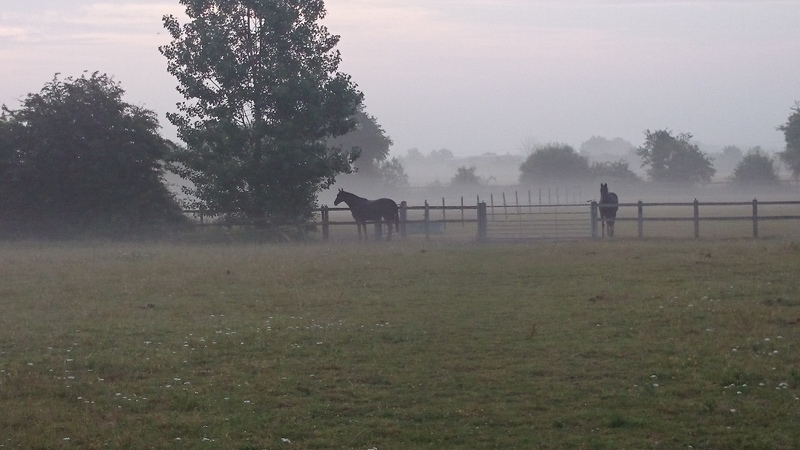 That morning I was quietly plaiting Ehren and we heard what sounded like something cantering down the road outside. 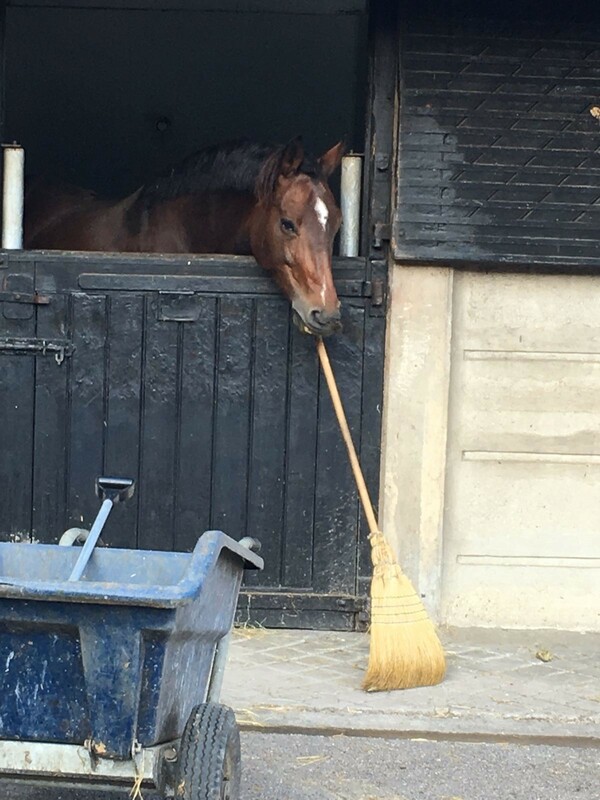 Up the drive bounced a ginger pile of froth in passage (never believe Lily when she says she can’t do dressage). So Ehren is now slightly agitated and I am thinking how much easier things are to get done in the peace and quiet of mid-week. Martin then ties the wild one up next to us. Lily is waving her backside in Ehren’s face and threatening to kick her every time she attempts a sniff. Martin grabs my bucket of clean water and sponge, washes the Ginger Rocket down, and gives me back a bucket of sweaty water! I won’t repeat my response, you can use your imagination! However it obviously hit home as he wandered off to refill it, at which point Lily grabbed the opportunity to break loose and make a run for it. 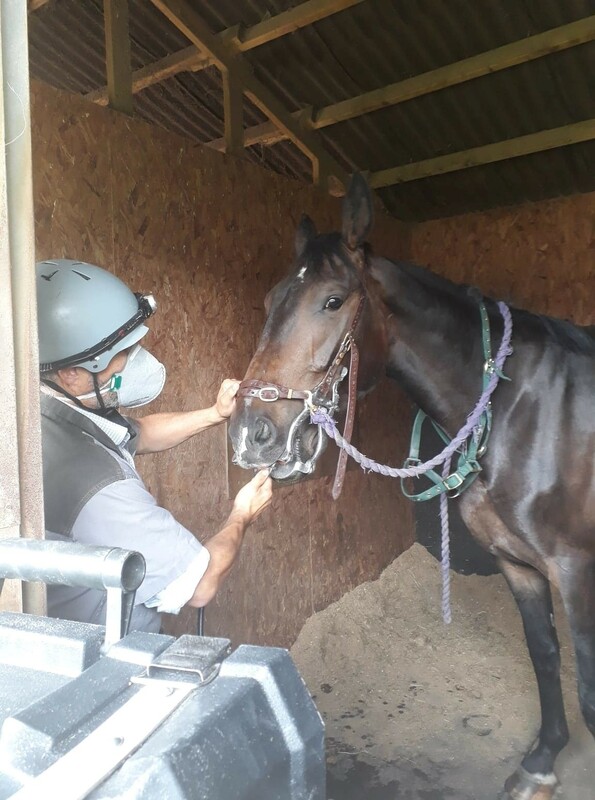 So there I am hanging onto a plait like it’s a magic control halter while Ehren is rearing up, boxing out and having a bit of a breakdown about the whole affair. This rather set the scene for the rest of the day, and if as a friend said, I had read my tea leaves properly I should probably have stayed at home! 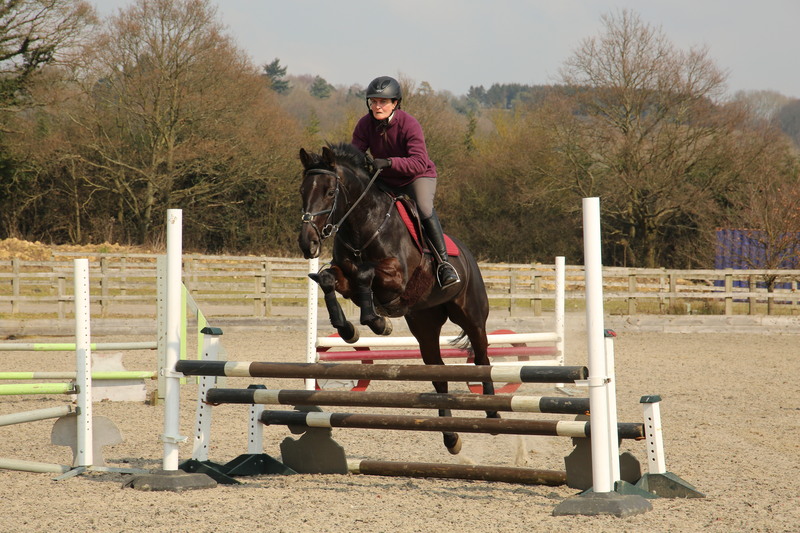 However you can rest assured that all my planned outings before Hartpury are back in the calm and serenity of mid-week…..
Four Elms February then came and went, only one more Winter clinic left here and we are outdoors for the Summer series. 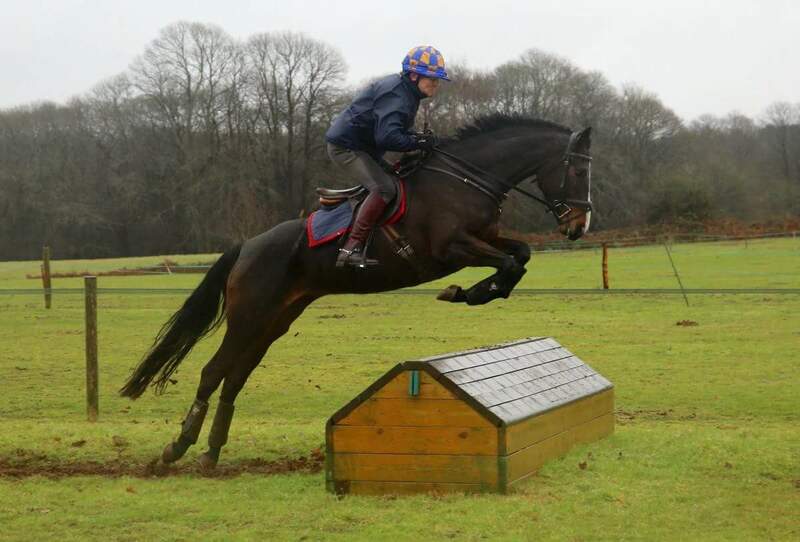 We then XC schooled at LMEQ in very wet conditions with lots of puddles everywhere. This was also an educational day for everyone with lots of steps, banks, ditches and the water to think about. 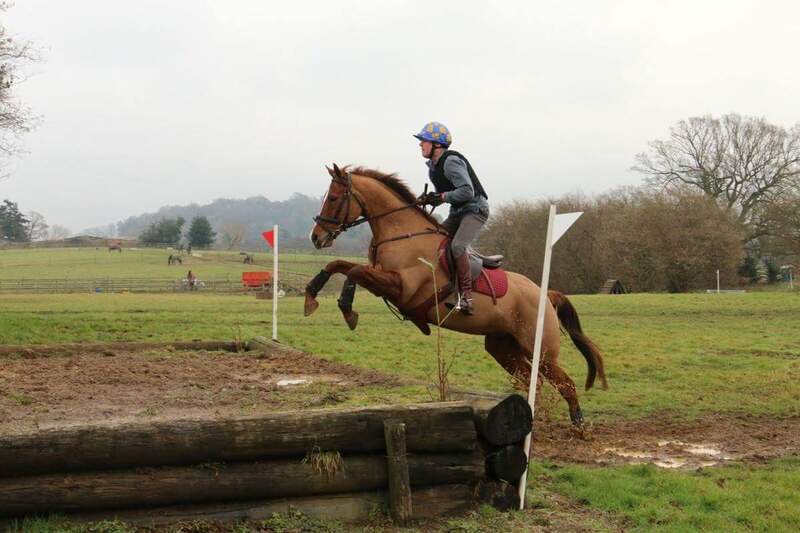 We took a very excitable Ginger Rocket who zoomed about like a little racehorse. 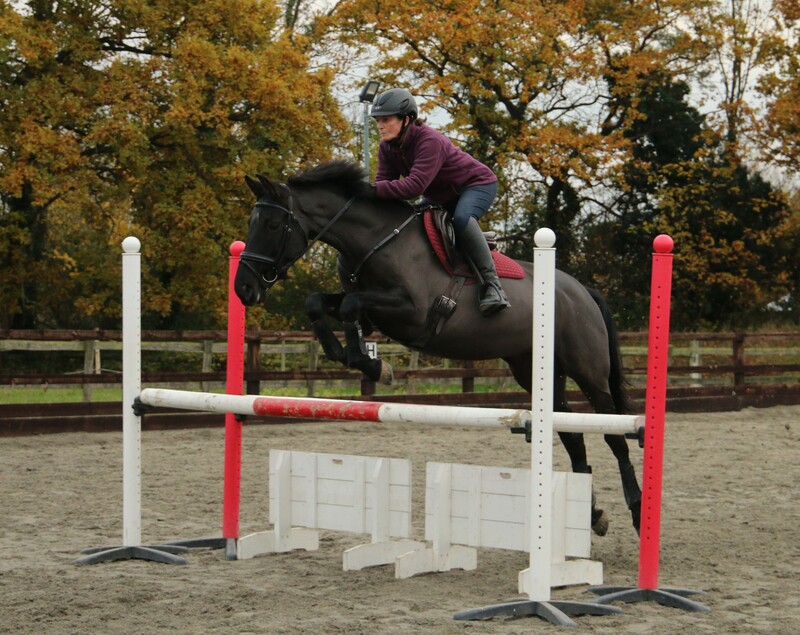 It was nice to see her so up for it but she wasn’t exactly what I would call rideable! 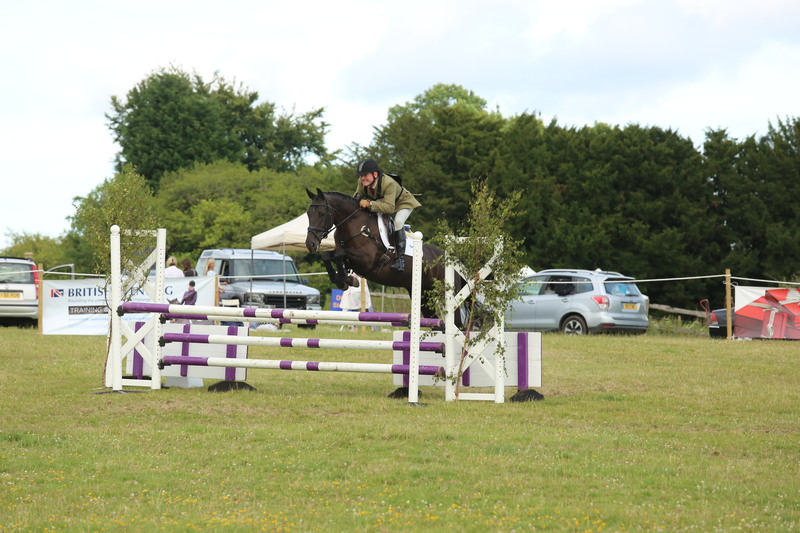 Also on fire was the Black Bomber who looked a lot more confident than at Munstead so that was great fun for both of them. Then we get home and find that Ehren wasn’t feeling herself. Frustratingly she has a virus and that means no Regionals on Monday. I am pretty sure that she wasn’t keen if the practise run was anything to go by, she really didn’t need to move back into sickbay. 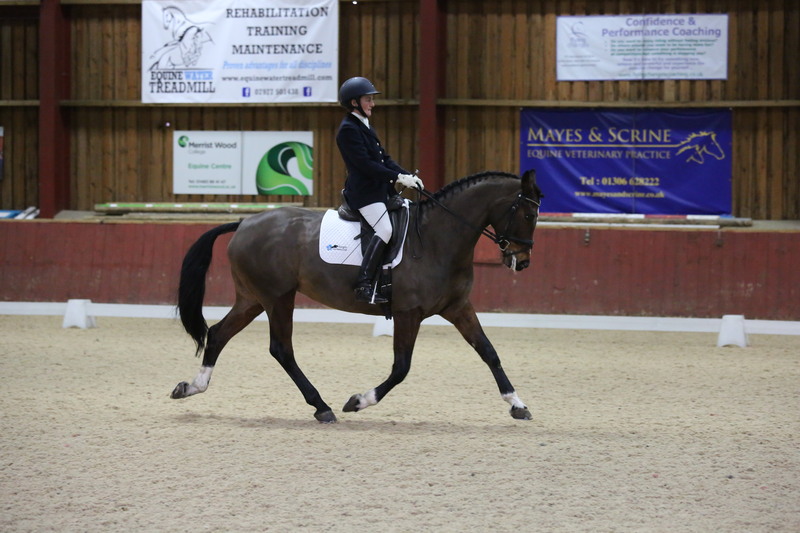 Oh well, we will wait for her to feel better and get as many outings as possible to get her confident in the arena again before Hartpury in April. Gulp! 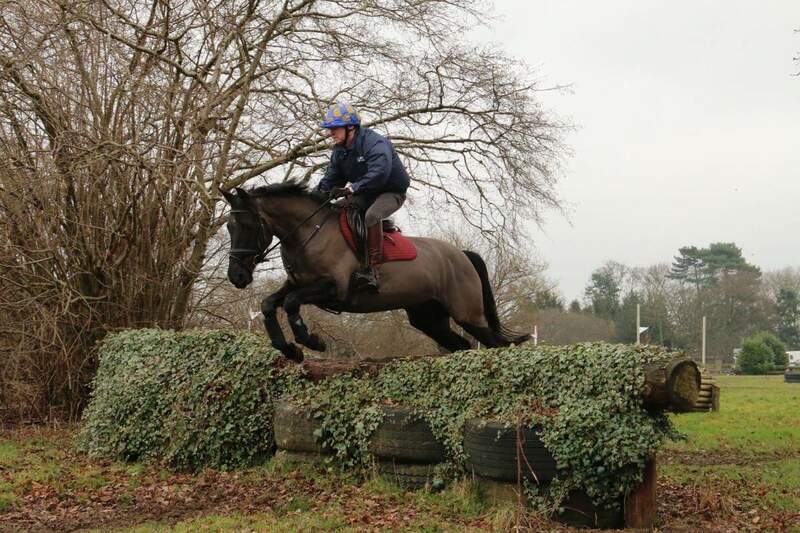 Coming up we hope to beat the weather forecast and school at Tweseldown, Tiny comes home after 8 years with Clare, we have WobbleBerry clinics galore, the last Four Elms of the winter, and then dum dum dah……the Munstead pre-season combined training on grass. Time to get some BE entries done! So just when the diary is full of plans and everything seems to be going well life’s banana skin just can’t resist interfering! 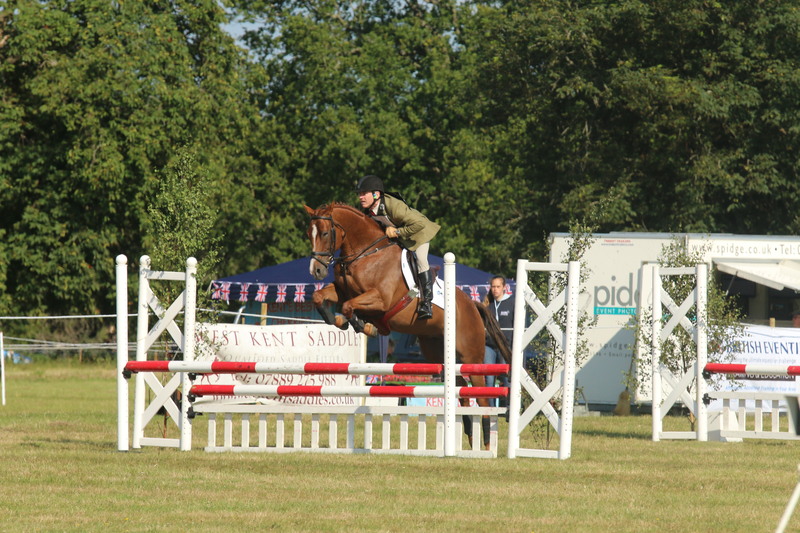 Tinka was going great guns at Keysoe; a clear SJ and was jumping well on the XC when she misjudged a straight forward fence on the way home, banked it and couldn’t get her legs out in time. She had little option but to use her head as landing gear. Ouch! Fortunately neither of them were seriously hurt. 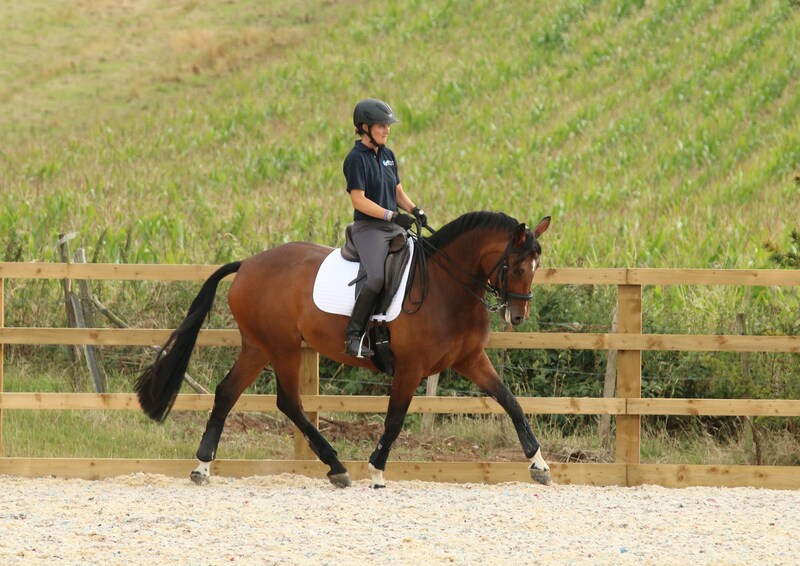 Tinka has been back at her owners’ stud for a few weeks where she has had a vet check-up, physio and acupuncture. 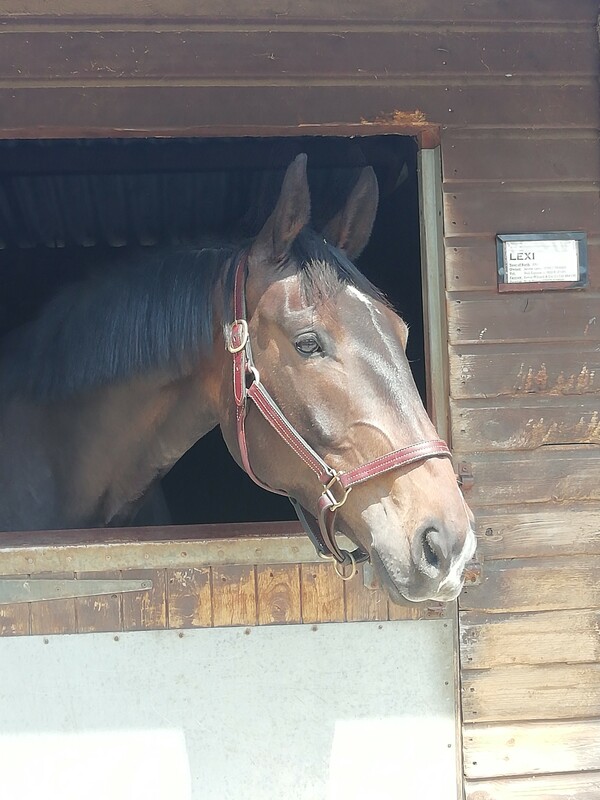 They are still concerned about her neck and poll so she won’t be back with us any time soon meaning that there will be no one star, NRF or Corinthian Cup at Gatcombe this year. This game can be so very disappointing. After that we disappeared to Norfolk briefly for a few days with the dogs. 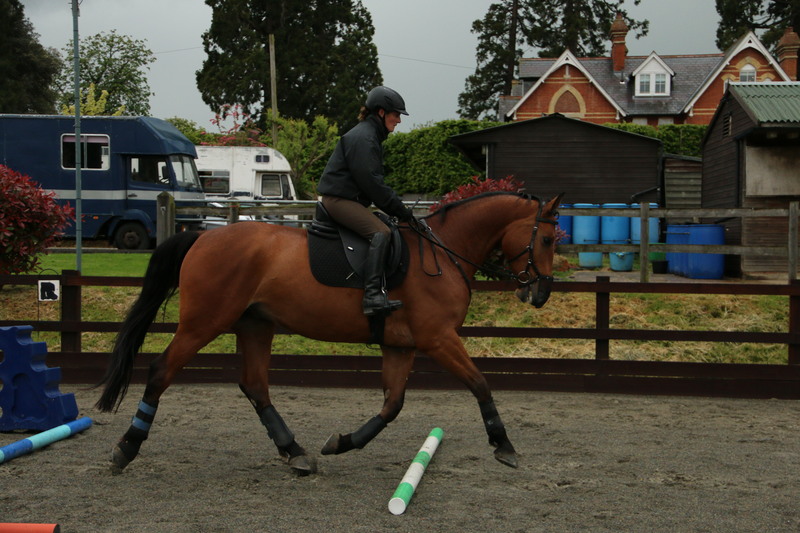 When we got back the 17hh Maabof was waiting for me in Lexi’s stable for a week of ’learning to jump’ boot-camp. 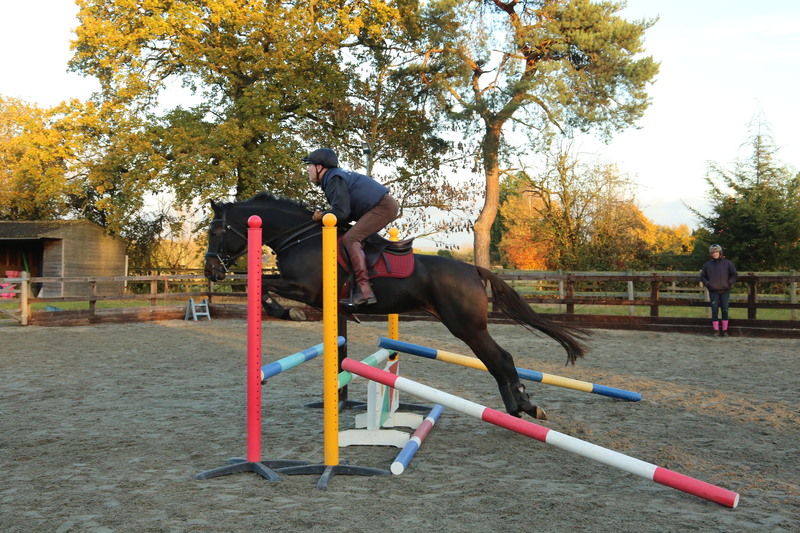 He most certainly can jump, he showed great natural technique over a fence on the lunge and was a star under saddle. 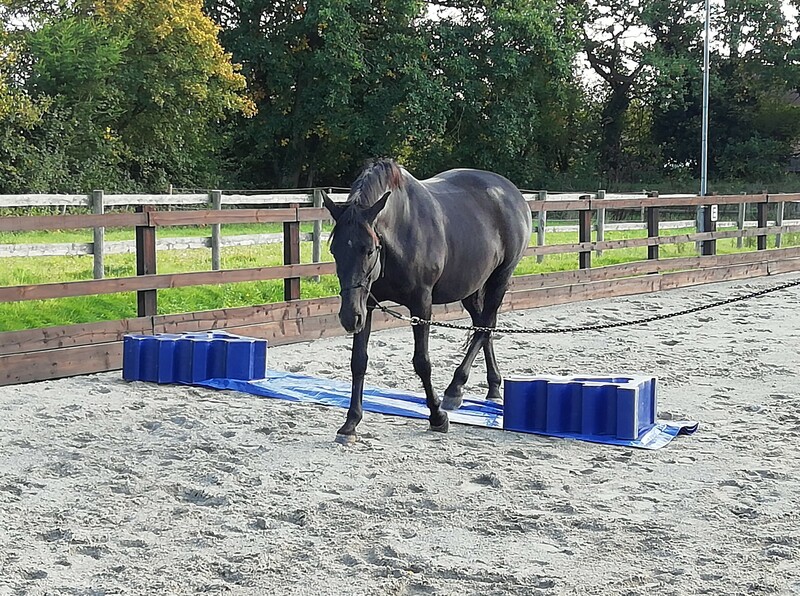 He has not really seen any jumps before and trotted around a little 70cm course with water tray, plank and filler first time without even blinking. How cool is he?! 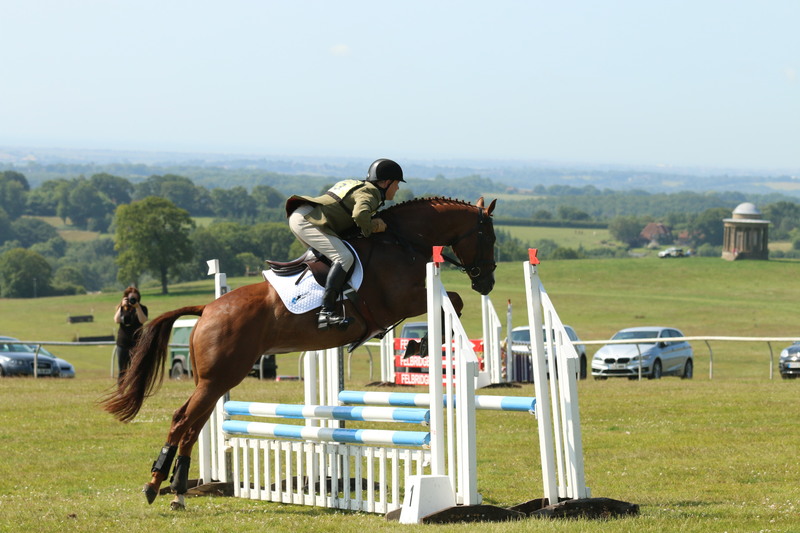 We have had SJ clinics at Eaglesfield and at Carmen Court, plus an all day clinic at Coombelands with SJ on their surface in the morning and XC schooling in the afternoon. 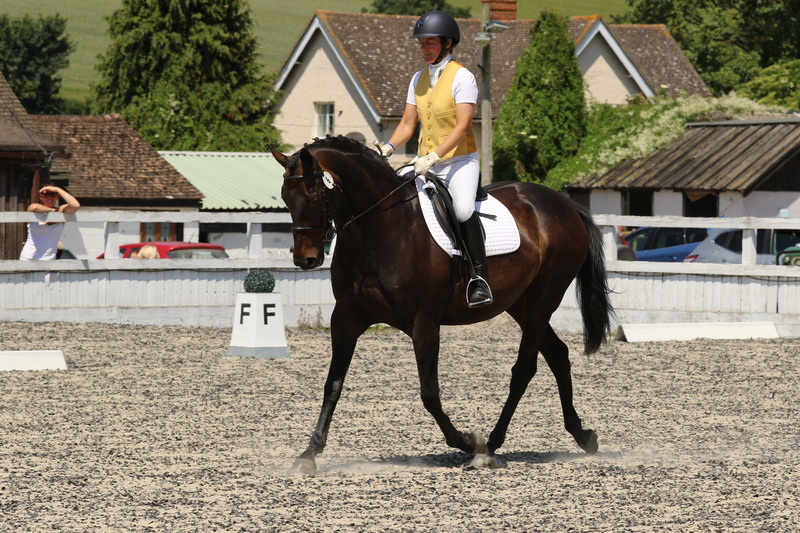 I love it there; such amazing facilities and spectacular views over the downs. 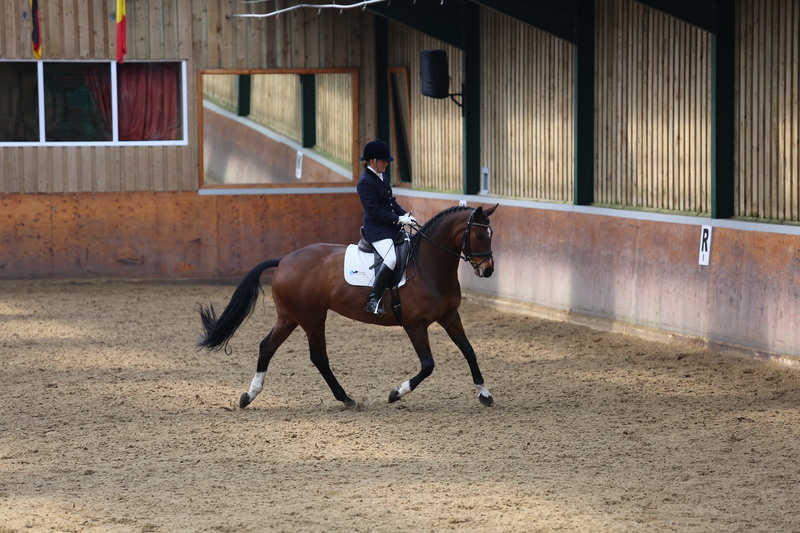 We have also schooled a few groups at Bonfleur and Lodge Farm. It is always a very busy time of year but we love it that way. 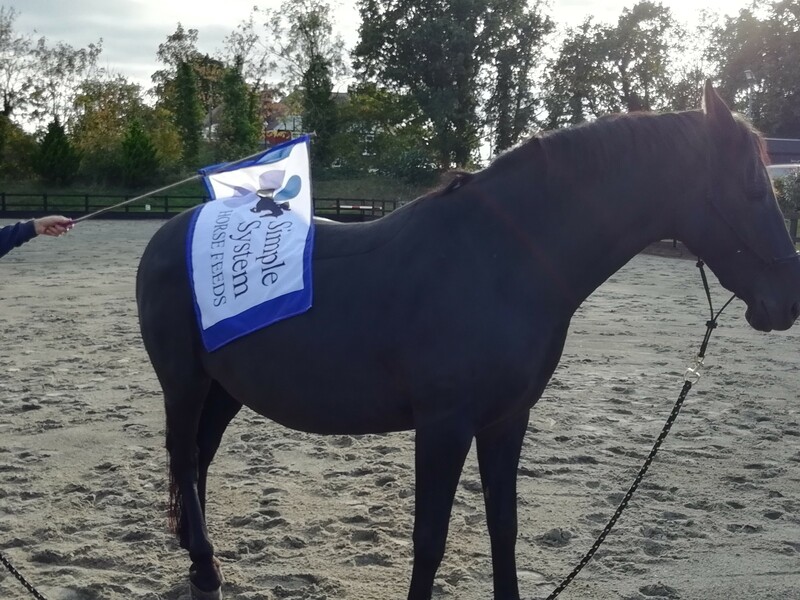 The naughty black pony has been hacking for the last month, mostly because we need to get over ourself and we meet quite a lot of things we don’t like out hacking, but also I decided that she is still so immature both mentally and physically I would back off a bit and give her some time. 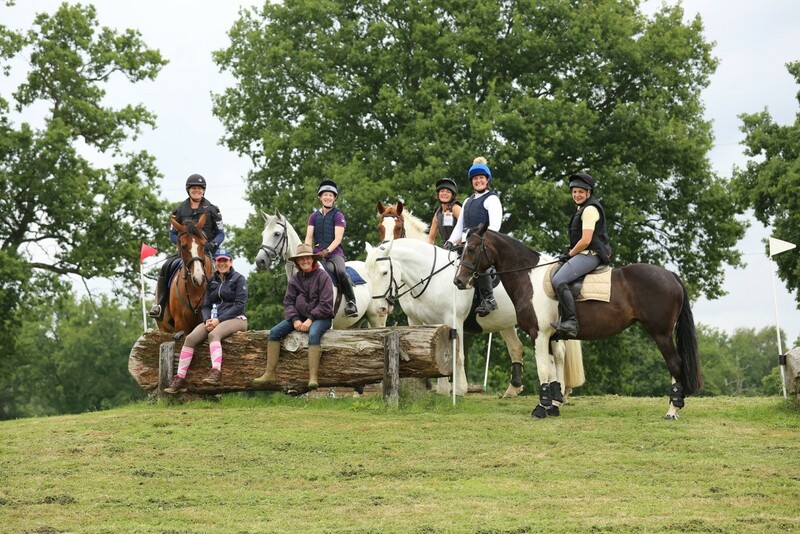 We had already entered the riding club ODE at Coombelands, and decided we would still go as a benchmark for where we are after a month of hacking. I must say she did try a lot harder. 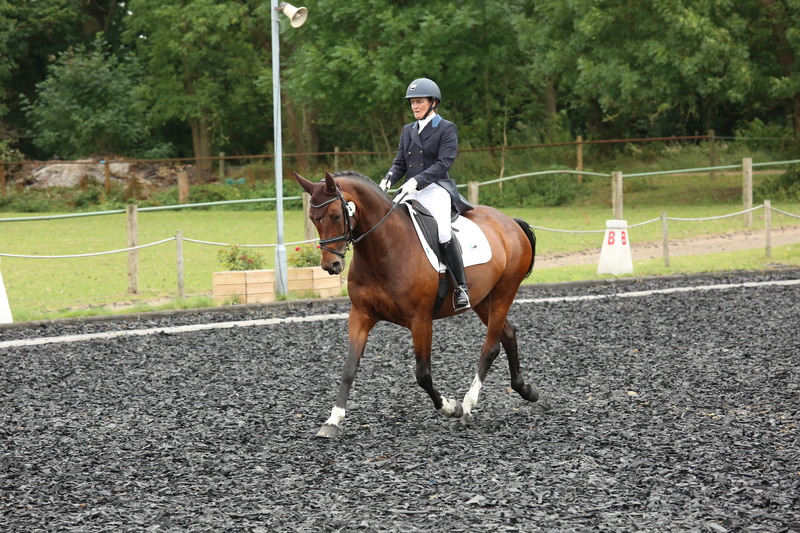 She was 5th after the dressage (it still felt like wheeling a shopping trolley round an ice rink but she did try and there was no nonsense about the judges car, hurrah!). The SJ was better. Make no mistake it was messy but we got to the finish and it was hugely improved on Munstead. 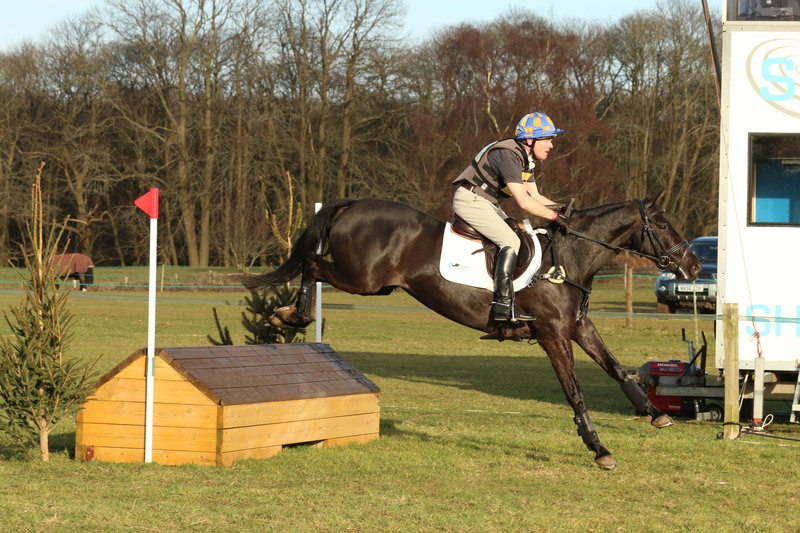 Then at the XC we had the usual napping to go into the start-box, leave the start-box and get to the first fence but really a token effort compared to some of our epic hacking moments. 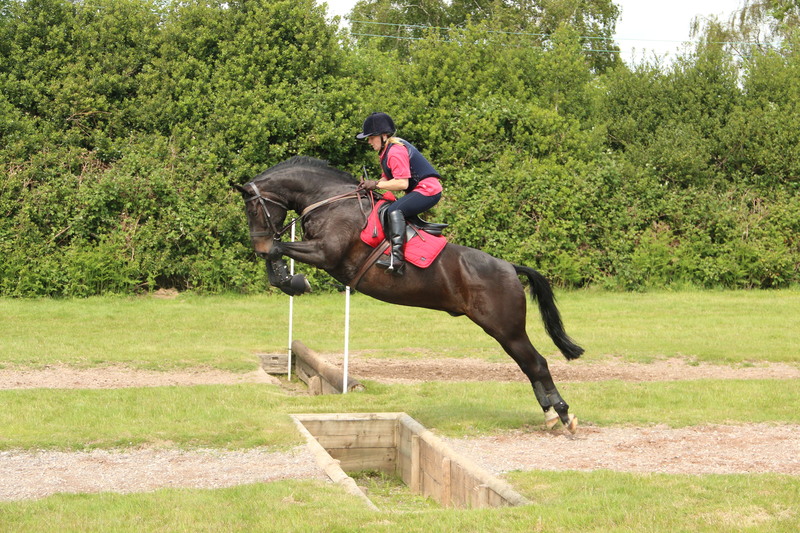 Most importantly once we got over the first fence a switch clicked in her brain and she was off, taking me…..woo hooo!!! 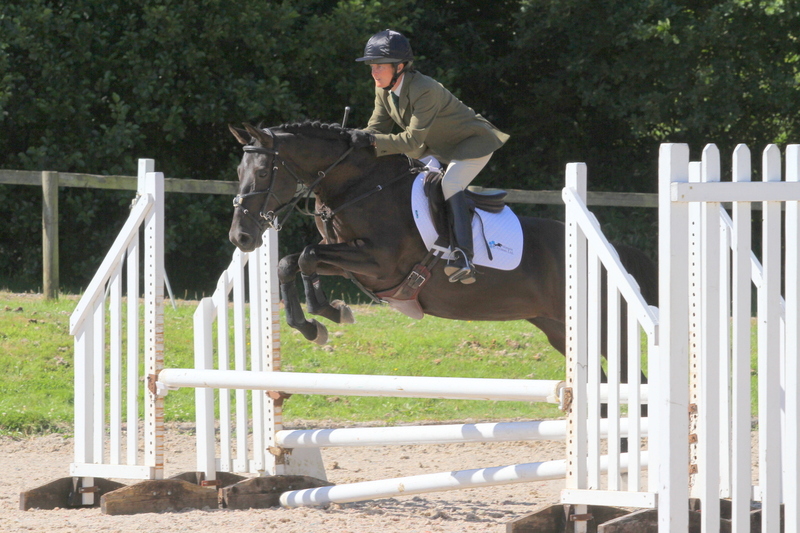 A clear round no less! 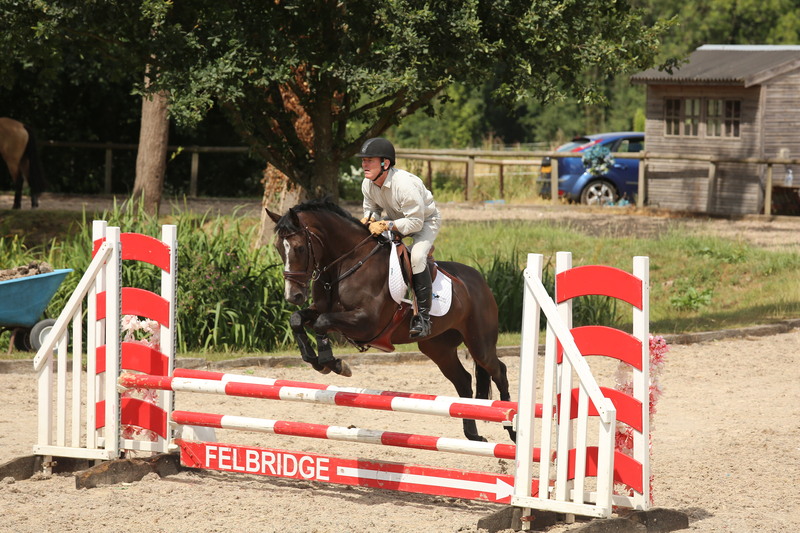 So yes it’s all very much a work in progress but also a much better effort so I have temporarily stopped calling her the Black Brat…..well, until the next time we find ourselves on two legs in the middle of a field…..
Lily has been ‘star of the month’ with a trip to Borde Hill for the BE90. 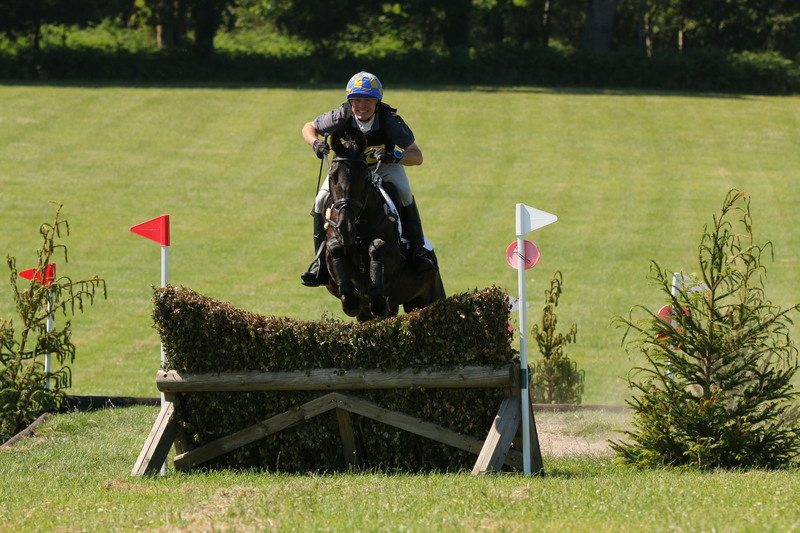 She posted her best dressage to date and a double clear with a few time penalties to finish up 7th. 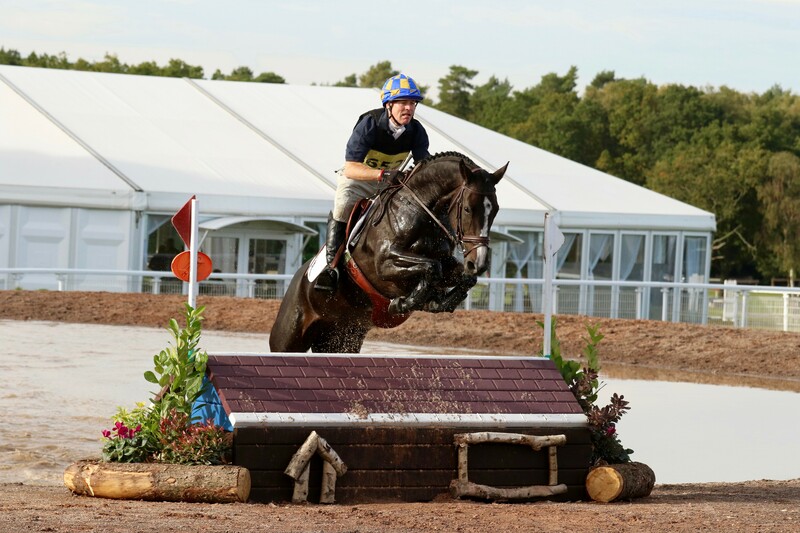 She is doing so well and looking pretty robust at this level, particularly on the XC. What a good girl, showing the world what she is made of. She looks amazing and everyone comments on the difference in her condition. Ehren on the other hand is in disgrace! 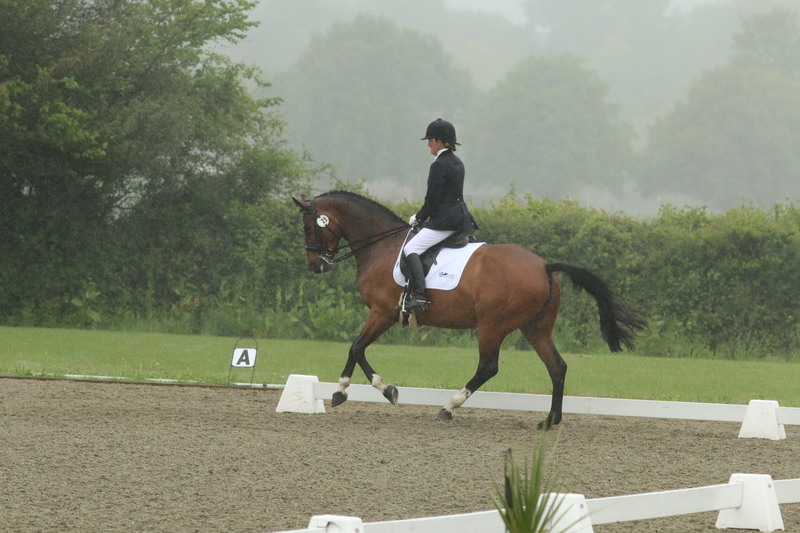 The Hickstead Masters Semi-Final was always going to be touch and go but with the rain coming sideways and Ehren in season it was all too much. Sometimes I question my sanity and this was one of those days. As always with Ehren, the good bits were lovely but there were lots of mistakes, stroppy bits, and bits where I just daren’t touch her. 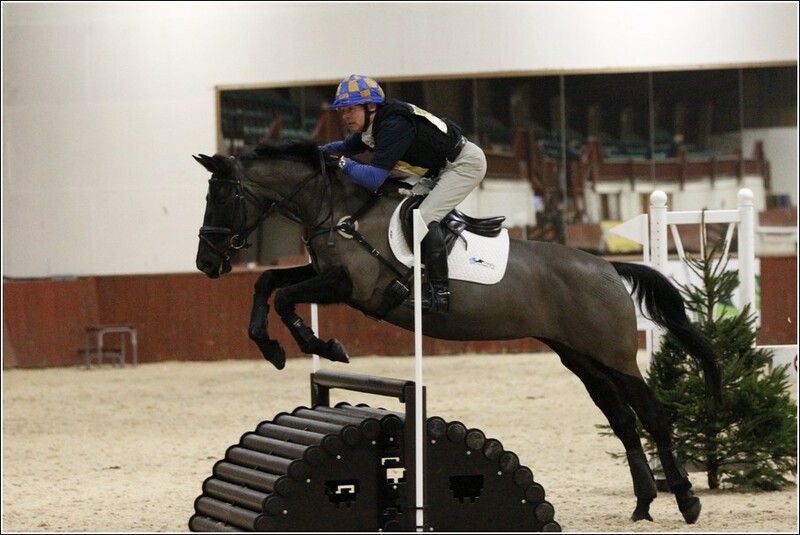 I need to learn how to ride her when she is like that, if there is a way. 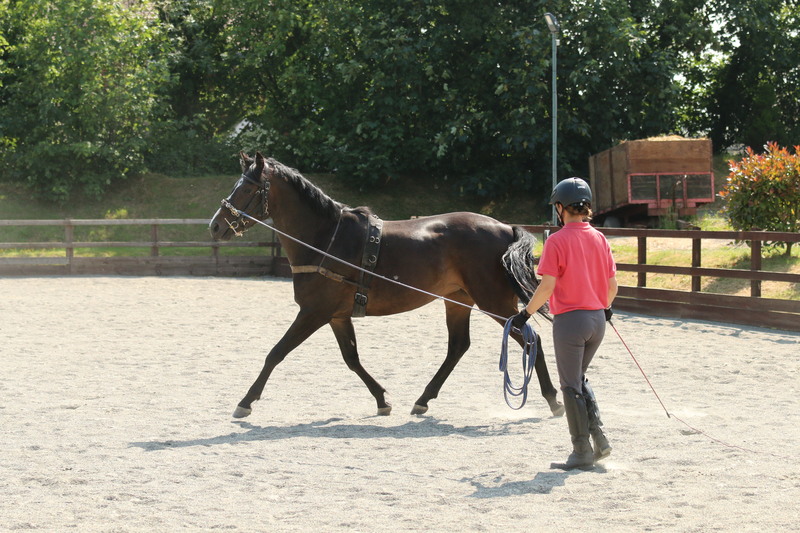 Until then we are trying the snaffle again, working on getting out at medium, and starting to work on our changes at home which I have to say is great fun! 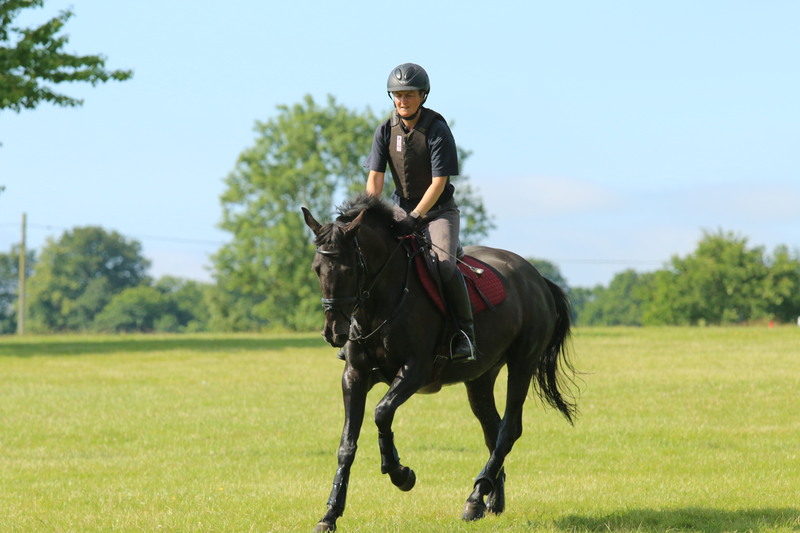 You all know how much I love riding the babies and just recently I took the lovely young mare Lottie to BlueBarn BD for her first ever outing for owner Jasmine. She was not there to be competitive but just for the trip out and bless, she tried her very best coping with the whole thing really well. 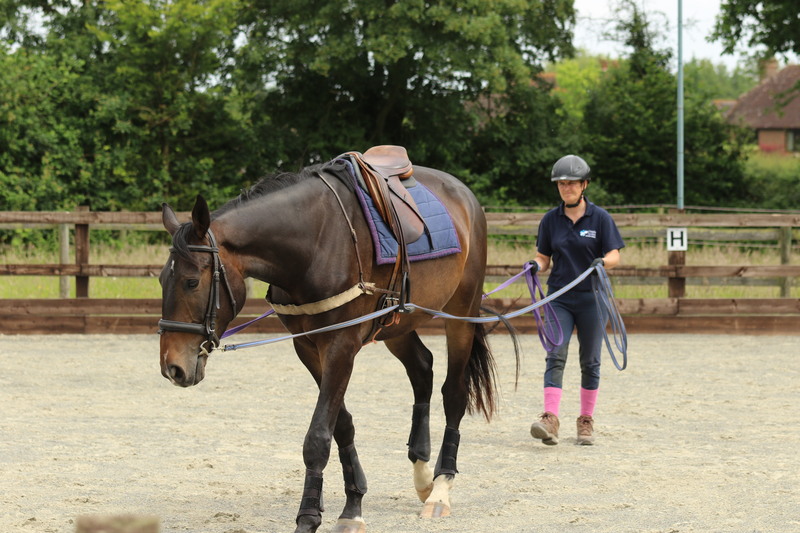 She was just a bit anxious and dropping the canter, but we were all really pleased. She will be very smart later on. 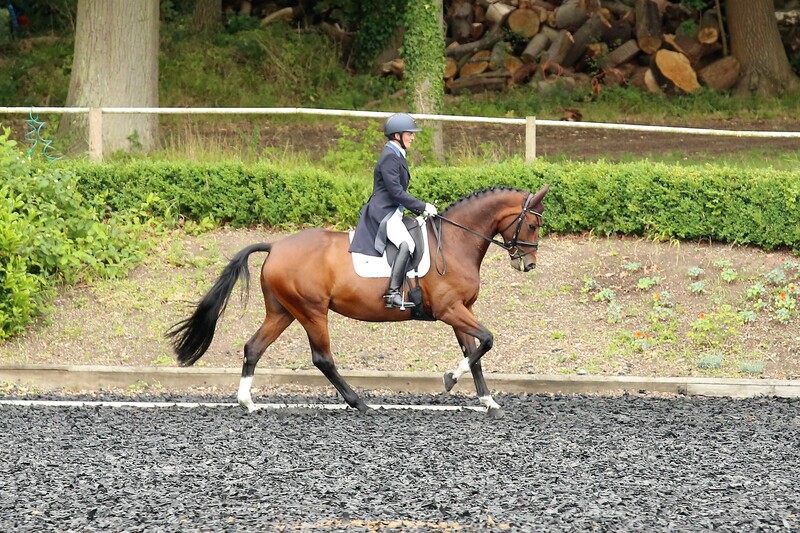 Lots coming up but top of the list is the arrival of a VIP schooling livery. 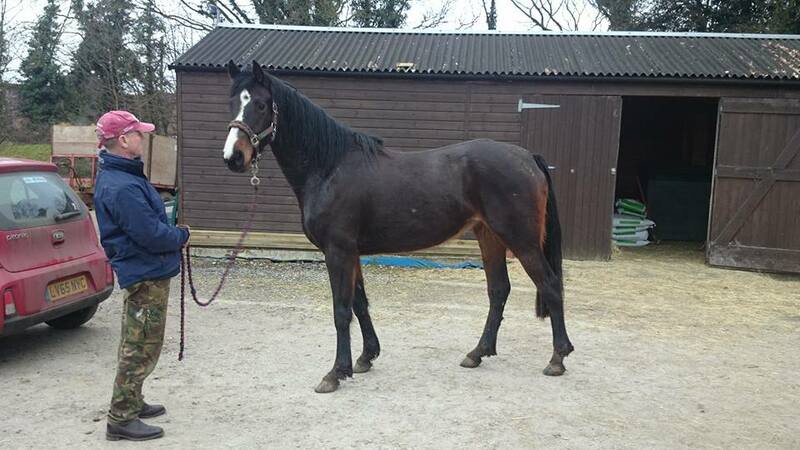 A young lady is coming in for a couple of months to be backed. My biggest concern with this one is her owner as some are easier than others. We have the ‘dump them and run’ owners, we have the ‘four pages of A4’ owners, and we have everything in between. I am very happy with these guys. Then we have my husband. Oh dear, divorce just before our 20 year anniversary.